Project-based manufacturers such as (MTO) Manufacture-to-Oder, (ETO) Engineer-to-order, face business challenges that simply cannot be resolved by traditional ERP software. Manufacturing-to-job companies need to be able to provide accurate cost estimates to customers, manage all aspects of complex projects, deliver on time and on budget—all while keeping a close eye on cash flow. There is intense pressure to reduce costs, shorten cycle times, while maintaining high quality. Finally, manufacture-to-oroject companies need an accurate picture of the profitability of each project in order to comprehend the impact on the business. In many instances they also need flexible income recognition methods, progress claims based on percentage completion and support retainage accounting. 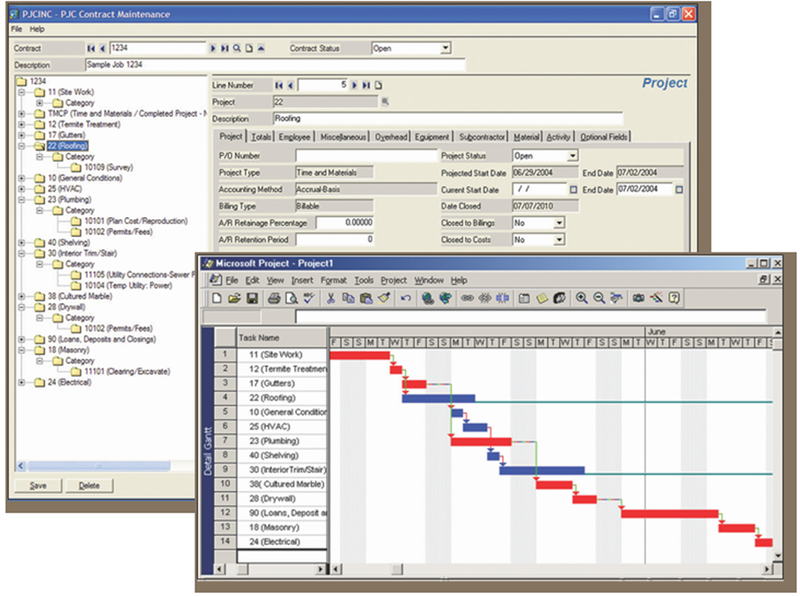 Our Sage 300 ERP software was specifically suited for engineering-intensive companies. Why a typical manufacturing ERP system won’t cut for a project based manufacturer? Is This YOUR Company? Project based manufacturer typically involves in designing and building complex products to exact customer specifications frequently involves long lead times and heavy engineering content. Design --> Material Order --> Fabricate --> Sub-Assembly --> Delivery --> May have Erection at Site --> Testing Commissioning --> Planned Maintenance. SAGE 300 ERP series is a sophisticated system that provides the tools necessary to manage the simplest to the most complex manufacturing contract or job. It makes the estimating, tracking, costing and billing of projects easy and manageable – simplifying cost control and planning. With the powerful features included in Job Costing, you can identify potential issues and determine success factors for any project. Assign staff, material, subcontractors, equipment, miscellaneous items and overhead to each manufacturing job/project within the contract. Set up complex estimates by specifying the quantity (for example, hours), unit cost and billing rate (for time and materials projects) for each staff member, material (inventory item), subcontractor, equipment, miscellaneous item and overhead expense allocated to a manufacturing job. Assign the cost categories to which they apply to automatically calculate cost and revenue estimates for each cost category, or simply define the cost and revenue estimates for each category within a manufacturing job. 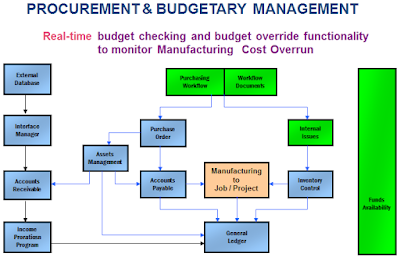 You can track cost overrun on line as the cost & requisition come in and added to the job process. Integrates with all departments and modules for efficient, streamlined process throughout the company. Electronically route purchasing workflows & documents to the appropriate approval authority for fast operation. Integrates Solutions with SAGE 300 ERP modules General Ledger, Accounts Receivable, Accounts Payable, Inventory Control and Purchase Order, Manufacturing Order, Budgetary Control & Funds Availability. Integrates with Microsoft Project for additional control of your projects and resources. Sage 300 ERP that is remarkably suited for the project base manufacturer (MTO/ETO/MTP) which is project manufacturing accounting centric solution. With Sage 300 job based manufacturing solution, you are really to face the future.